MARQUETTE — The Northern Michigan University women’s basketball team celebrated Senior Day and wrapped up its regular season at home with a 54-43 victory over Northwood at the Berry Events Center on Saturday afternoon. The Wildcats finished with a 10-3 record at home after a 17-point, 11-rebound performance from senior guard Darby Youngstrom. Junior forward Erin Honkala also had a big game, finishing with 14 points and six rebounds. 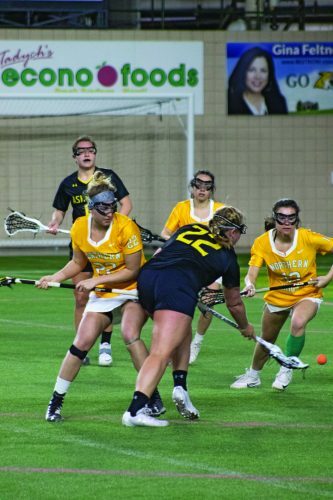 NMU head coach Troy Mattson credited Honkala for one of her best games all season. 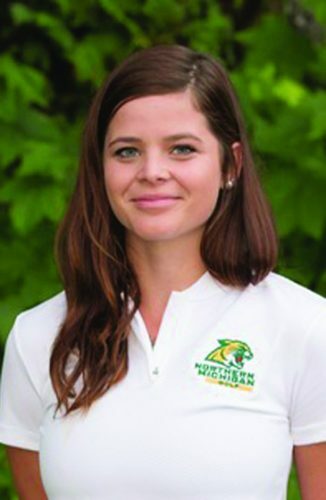 “She went through a little stretch this year where she wasn’t playing as well as we expected her to play,” he said. “I lost a little confidence in her, and I think she lost a little confidence in herself. “The last couple of weeks, she’s been coming on stronger and stronger and she definitely made a difference out there (today). Down 9-0 to start, Mattson didn’t hit the panic button. “I didn’t tell them anything,” he said. “I told them just get back to doing what we do. Defend and finish those shots. We weren’t very aggressive on the offensive end to start the game. After the nine-point hole to start, NMU climbed back to pull within 9-6 after one quarter. After junior guard Baleigh Delorit drained a 3-pointer to knot things at 9-9, the Wildcats took their first lead on a layup by Youngstrom to make it 11-9. The game remained close throughout the second quarter as the Wildcats held a 23-18 advantage at the break. 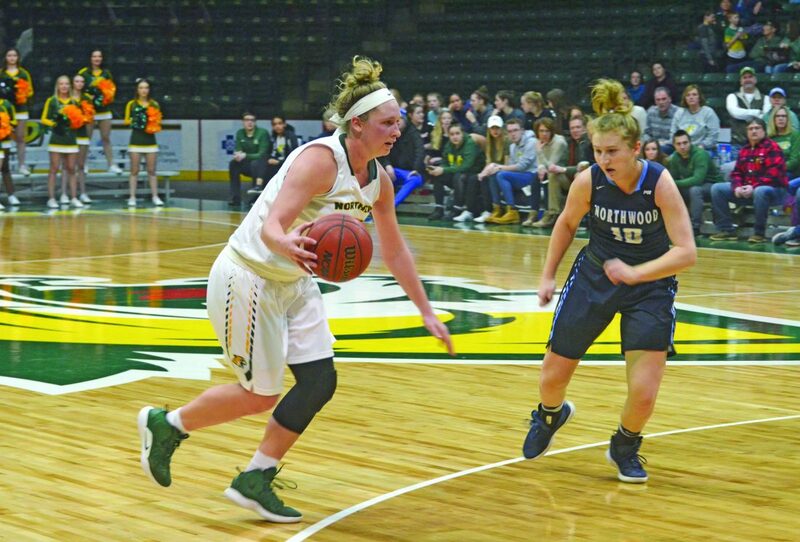 Northwood tied it once in the second half at 28-28, but the Wildcats made a 3 by guard Sydney Dillinger to put NMU ahead for good. The Timberwolves pulled within three points on multiple occasions the rest of the way, but the Wildcats never relinquished their lead. NMU finished with a big 47-22 rebounding edge. Ellie Taylor led the Timberwolves with 11 points. Marquette Senior High School graduate Hunter Viitala grabbed two rebounds and had a steal in her return to Marquette for NU. The Wildcats remain tied atop the GLIAC North Division with Michigan Tech and tied for third place overall in the GLIAC at 12-3. 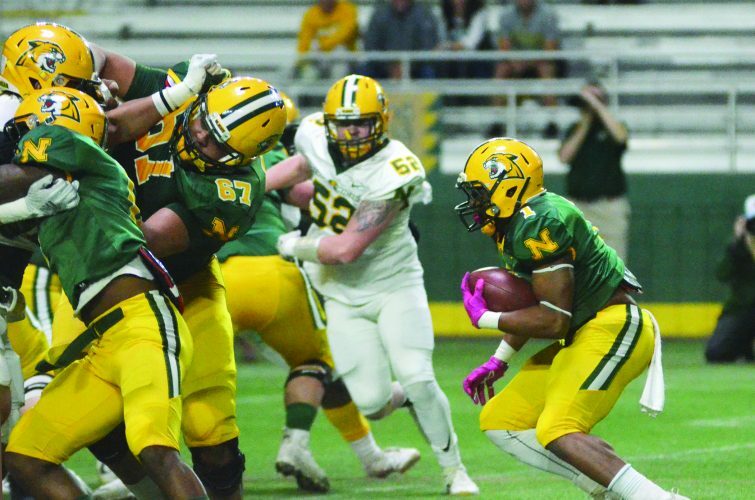 NMU (17-6) now embarks on a five-game road trip to close out the regular season, beginning at Ferris State (11-10, 8-7 GLIAC) on Thursday evening. Mattson said his team will need to get as much of a break as they can before heading to Big Rapids, where FSU is fifth overall in the conference, just a game ahead of three other teams.